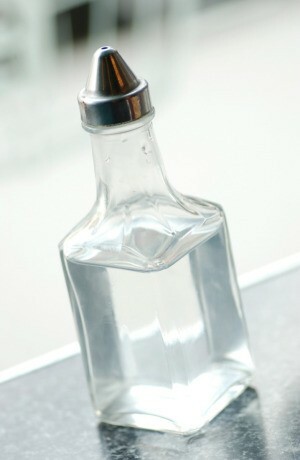 You used vinegar to remove a stubborn odor from the carpet only to have a problem now getting rid of the vinegar smell. This is a guide about removing vinegar smell from carpet. How do you remove vinegar smell from carpet in a car? I spilled a gallon of milk on my car carpet and immediately cleaned up with water, then applied a mix of cider vinegar and water. That dried, now it stinks like vinegar. I shampooed it and have tried baking soda and it still stinks so bad. Help! I love my car and can't afford to trade it, but I have allergies and the smell is annoying my allergies and stomach. You might want to try putting a container of coffee grounds in your car for awhile. I know it gets rid of cigarette smoke, and that is pretty hard to remove. Let the vinegar dry completely. The smell will be gone. Dried vinegar does not have any smell after it is throughly dry. It will take a while for the carpet pad to dry. Put a fan in the room. I use vinegar and water and rags to wash my carpeting. It takes off all dirt, etc. And even 'street dirt' from shoes. google 'uses for vinegar'. It will surprise you. Good luck, but you don't actually need it! Just let it dry the smell will disappear on it own. How do I get rid of vinegar smell from my car seat?